Our team knows that our clients deserve our time and attention therefore we provide every single client with a high quality product. We believe in complete 100% honesty and integrity and in producing work we can truly be proud of. Over these last 10 years we have established a leader’s tradition of bringing you only the very best international quality technologies and solutions. And we are committed to continue this tradition of leadership. We provide Digital Colour Printing Solutions with our new Digital Printing Press – KONICA MINOLTA ProC6000 and Xerox Docucolor 250 System. 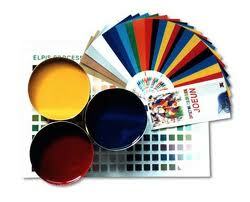 We also provide lrage format Plotting and Printing on Vinyl and Glossy Media with Inkjet Technology. We invite you for the DEMO prints running in our printshop anytime between 9.00 am to 9.00 pm MON-SAT. You can also visit our website http://www.yccindia.com for more details.